Human Rights Watch (HRW) executive director Kenneth Roth recently decried legal proceedings against the alleged “leading human rights defender in Chechnya,” Oyub Titiyev. But as with much of what HRW decries, Titiyev has less to do with actually defending human rights, and more to do with ongoing US-subversion in Russia’s southern Chechen Republic. 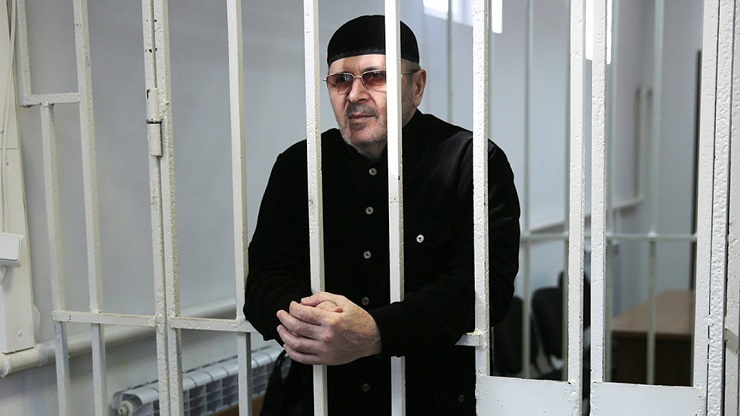 The Russian government’s “case” against the leading human rights defender in Chechnya, Oyub Titiyev, is farcical–as many holes as Swiss cheese–but authorities have still locked him up for 14 months and are threatening a four-year sentence. The article Roth’s post would include, leads to an opinion piece in The Moscow Times (written by fellow HRW regional director, Rachel Denber) who insists Titiyev is innocent of drug charges based entirely on Titiyev and his lawyer’s own claims. Whether Titiyev is guilty or not is for Russia’s courts to decide. However, the entire process of mobilizing supposed human rights advocacy organizations like HRW to rush to Titiyev’s aid illustrates how “rights advocacy” is transparently used to advance politically-motivated agendas, not to actually advance human rights. No matter what the evidence against Titiyev, HRW and others would claim the charges against him were politically motivated. It is an example of foreign-funded organizations attempting to assert themselves over a nation’s sovereign right to manage its own internal affairs, including by overriding local law enforcement and judicial processes. But there is much more to consider regarding Titiyev’s case than this. Russia’s Chechen Republic had previously seen two wars as armed separatists attempted to carve out an independent region from Russian territory. From 1994-1996 and again from 1999-2009 militants waged both open war and an armed insurgency against Russian forces until eventually Moscow prevailed. Today, attempts to rekindle divisions, upheaval and even violence have been the primary goal of both US-funded and directed “rights advocates” like HRW and US-backed militants, though admittedly Russia now has the upper hand. As the United States has been revealed to have done elsewhere, the Russian government has accused it of lending direct aid to Chechen militants. Vladimir Putin has accused US agents of directly aiding rebel fighters in the second Chechen war. In order for fighters to have contested Russian control over Chechnya, they would require equal or greater financial and military support than that committed by Moscow. State sponsorship would be the only way of achieving this and the list of potential states both capable and motivated to back Chechen militants is exceedingly short. That the US and its partners now currently offer many of these same Chechen militants who have shifted their fighting over to Syria both weapons and financial backing is further evidence of Washington’s deep commitment to menacing Russia and its interests both domestically and abroad with Chechen militancy. US state sponsorship of Chechen militancy serves as the sword of Washington’s policy, aimed at the Chechen Republic and anywhere else it feels it can wield it effectively (such as Syria). And if the Chechen militancy is Washington’s sword, US-backed “rights advocacy” is its shield. So-called “human rights defenders” like Oyub Titiyev and the US-funded organizations he is a member of work to frustrate Russian efforts to root out extremism in the Chechen Republic. Titiyev and others attempt to claim obvious counter-terror operations somehow violate human rights. His organization’s work along with many others funded out of Washington D.C. is then used to place official pressure on Moscow to complicate counter-terror operations and undermine Russia’s ability to maintain peace and stability in Chechnya. Such organizations are used as a “shield” to protect militants from the full force of efforts undertaken to uproot them. Titiyev has headed the office of the Russian human rights group Memorial in Grozny for nine years, collecting harrowing evidence of abuses and injustices committed by Chechen authorities. Memorial, funded by the US government, is registered in Russia as a, “non-profit organization acting as a foreign agent.” On Memorial’s own website in a barely noticeable footnote at the very bottom of its website, it admits to its status as a foreign agent, but insists it is “self-governing,” a claim made by many supposed nongovernmental organizations whose US government funding has been exposed. Memorial no longer transparently discloses its funding, nor does the US National Endowment for Democracy which in 2011 had openly listed Memorial as one of their many grantees in Russia. Human Rights Watch’s Kenneth Roth and Rachel Denber in her op-ed in The Moscow Times also omitted Memorial’s US government-funding. Titiev has worked at Memorial and its sister organization, Civic Assistance Committee, since 2000, documenting human rights violations and carrying out a range of humanitarian projects, including support to schools in Chechnya’s mountain areas. The “Civic Assistance Committee” is also registered in Russia as a “non-profit organization acting as a foreign agent,” and does list its foreign sponsors, which include the European Commission and George Soros’ Open Society-funded Amnesty International. Had Human Rights Watch mentioned Titiyev’s role as a foreign agent amid Russia’s internal political affairs, or the fact that the people whose “rights” he was “defending” were terror suspects, their message would have failed to invoke sufficient public sympathy for Titiyev or public anger against the Russian government. Washington’s use of Chechen terrorists to menace Russia along with dubious “rights advocates” like Titiyev and the US-funded fronts he works for protecting these terrorists from counter-terror operations represents a “sword and shield” method used extensively by Washington worldwide. We can see examples of this in Syria where supposed US-backed “human rights activists” and “rescue workers” like the White Helmets embed with Al Qaeda and its many affiliates, working exclusively in territory occupied by terrorist organizations even listed by the US State Department itself as such. Just as a knight brings his sword and shield to whatever battlefield he fights upon, the United States brings its sword of state-sponsored terrorism and shield of “human rights advocacy” to every region and nation it seeks to undermine and eventually overthrow. Oyub Titiyev’s role in abusing human rights advocacy to frustrate state security services attempting to maintain peace and stability in Russia’s Chechen Republic is just one of many hundreds of examples the US and its allies are using worldwide. By following characters like Kenneth Roth of HRW on social media, we can see several examples aired out per day, in numerous countries. By understanding this tactic and exposing it, the blade of Washington’s sword will grow dull, and cracks will begin to appear in its shield.